whose paths crossed in an interesting way. Grace Groner was orphaned at age 12. She never married. She never had kids. She never drove a car. She lived most of her life alone in a one-bedroom house and worked her whole career as a secretary. She was, by all accounts, a lovely lady. But she lived a humble life. That made the $7 million she left to charity after her death in 2010 at age 100 all the more confusing. People who knew her asked: Where did Grace get all that money? in the stock market. That was it. declared personal bankruptcy, fighting off foreclosure on two homes, one of which was nearly 20,000 square feet and had a $66,000 a month mortgage. enough about what happens in your head when you try to do it. pop up often when people deal with money. The above article confirms my bias that all the MBAs, CFAs, CPAs, and study won’t help you unless you understand yourself. Tough. For example, I can see the speck in your eye but not the mud in mine. I started at page one [of these manuals-Moody’s and Value-Line] and went through every company that traded, from A to Z. When I was done I knew something about every company in the book. I like businesses that I can understand. Let’s start with that. That narrows it down by 90%. There are all types of things I don’t understand, but fortunately, there is enough I do understand. You have this big wide world out there and almost every company is publicly owned. So you have all American business practically available to you. So it makes sense to go with things you can understand. First, you need two piles. You have to segregate businesses you can understand and reasonably predict from those you don’t understand and can’t reasonably predict. An example is chewing gum versus software. You also have to recognize what you can and cannot know. Put everything you can’t understand or that is difficult to predict in one pile. That is the too-hard pile. Once you know the other pile, then it’s important to read a lot, learn about the industries, get background information, etc. on the companies in those piles. Read a lot of 10Ks and Qs, etc. Read about the competitors. I don’t want to know the price of the stock prior to my analysis. I want to do the work and estimate a value for the stock and then compare that to the current offering price. If I know the price in advance it may influence my analysis. We’re getting ready to make a $5 billion investment and this was the process I used. If we were to do it over again, we’d do it pretty much the same way. The world hasn’t changed that much. We’d read everything in sight about businesses and industries we think we’d understand. And, working with far less capital, our investment universe would be far broader than it is currently. There’s nothing different, in my view, about analyzing securities today vs. 50 years ago. We favor businesses where we really think we know the answer. If we think the business’s competitive position is shaky, we won’t try to compensate with price. We want to buy a great business, defined as having a high return on capital for a long period of time, where we think management will treat us right. 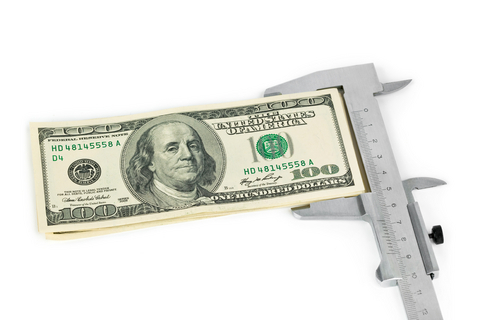 We like to buy at 40 cents on the dollar, but will pay a lot closer to $1 on the dollar for a great business. Munger: Margin of safety means getting more value than you’re paying. There are many ways to get value. It’s high school algebra; if you can’t do this, then don’t invest. If you’re going to buy a farm, you’d say, “I bought it to earn $X growing soybeans.” It wouldn’t be based on what you saw on TV or what a friend said. It’s the same with stocks. Take out a yellow pad and say, “If I’m going to buy GM at $30, it has 600 million shares, so I’m paying $18 billion,” and answer the question, why? If you can’t answer that, you’re not subjecting it to business tests. Capital-intensive industries outside the utility sector scare me more. We get decent returns on equity. You won’t get rich, but you won’t go broke either. You are better off in businesses that are not capital intensive. No formula in finance tells you that the moat is 28 feet wide and 16 feet deep. That’s what drives the academics crazy. They can compute standard deviations and betas, but they can’t understand moats. Maybe I’m being too hard on the academics. 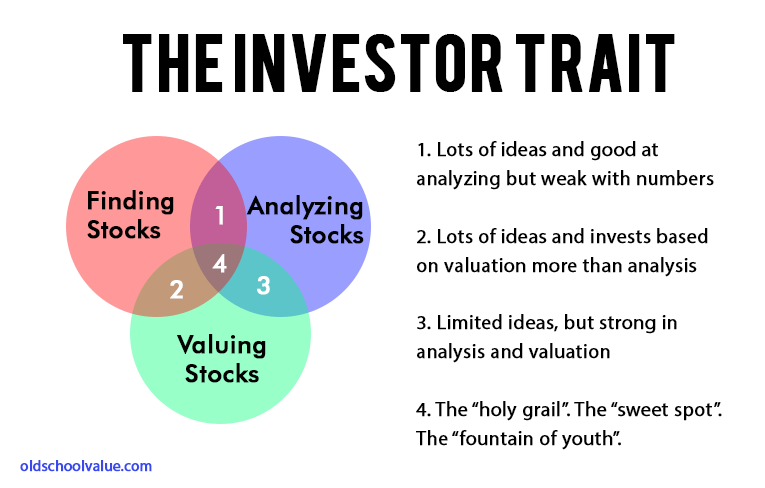 When Charlie and I buy stocks which we think of as small portions of businesses our analysis is very similar to that which we use in buying entire businesses. We first have to decide whether we can sensibly estimate an earnings range for five years out, or more. 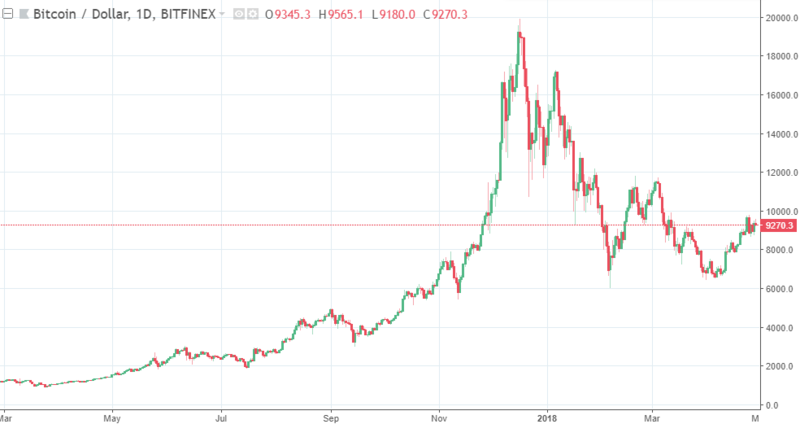 If the answer is yes, we will buy the stock (or business) if it sells at a reasonable price in relation to the bottom boundary of our estimate. If, however, we lack the ability to estimate future earnings  which is usually the case we simply move on to other prospects. In the 54 years we have worked together, we have never foregone an attractive purchase because of the macro or political environment, or the views of other people. In fact, these subjects never come up when we make decisions. In 1986, I purchased a 400-acre farm, located 50 miles north of Omaha, from the FDIC. It cost me $280,000, considerably less than what a failed bank had lent against the farm a few years earlier. I knew nothing about operating a farm. But I have a son who loves farming, and I learned from him both how many bushels of corn and soybeans the farm would produce and what the operating expenses would be. From these estimates, I calculated the normalized return from the farm to then be about 10%. I also thought it was likely that productivity would improve over time and that crop prices would move higher as well. Both expectations proved out. 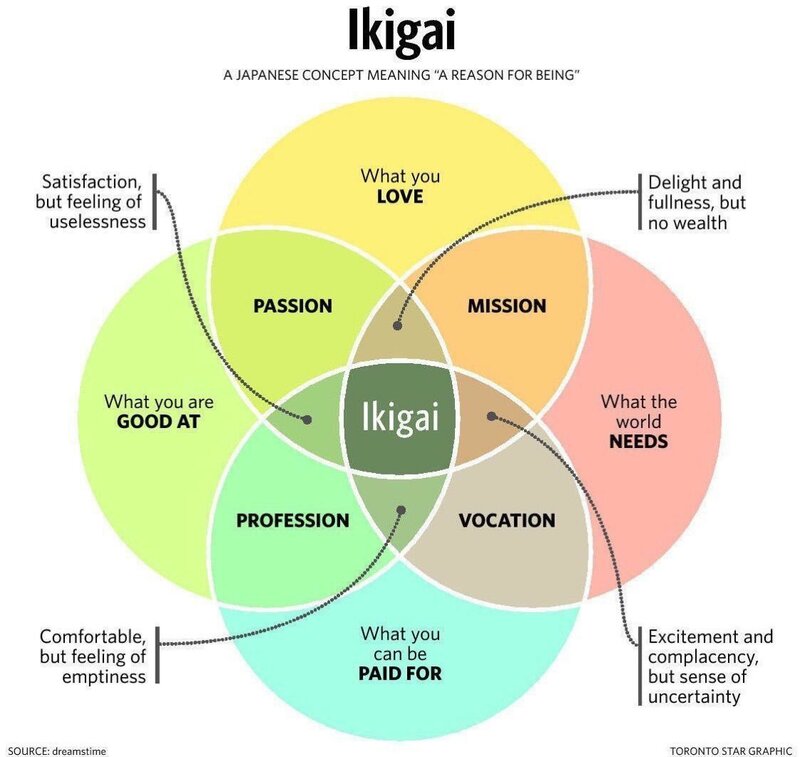 Intrinsic value is terribly important but very fuzzy. We try to work with businesses where we have fairly high probability of knowing what the future will hold. 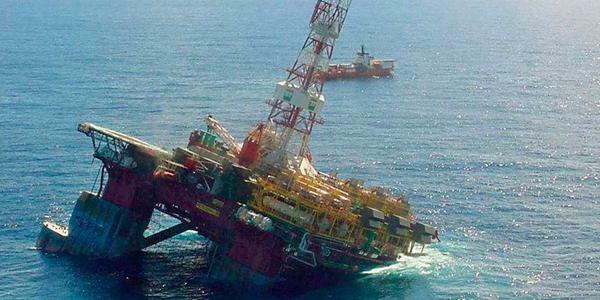 If you own a gas pipeline, not much is going to go wrong. Maybe a competitor enters forcing you to cut prices, but intrinsic value hasn’t gone down if you already factored this in. We looked at a pipeline recently that we think will come under pressure from other ways of delivering gas [to the area the pipeline serves]. We look at this differently from another pipeline that has the lowest costs [and does not face threats from alternative pipelines]. If you calculate intrinsic value properly, you factor in things like declining prices. We use the same discount rate across all securities. We may be more conservative in estimating cash in some situations. The appropriate multiple for a business compared to the S&P 500 depends on its return on equity and return on incremental invested capital. I wouldn’t look at a single valuation metric like relative P/E ratio. I don’t think price-to-earnings, price-to-book or price-to-sales ratios tell you very much. People want a formula, but it’s not that easy. To value something, you simply have to take its free cash flows from now until kingdom come and then discount them back to the present using an appropriate discount rate. All cash is equal. You just need to evaluate a business’s economic characteristics. Most of these quotes came from Buffett FAQ which contains the Q&A from shareholder meetings and goes beyond what you’ll find in the annual letters. Just from these small selection of quotes, you can see how Buffett manages to dance in zone 4. Ms. Bennett: Seth Lipsky is the author of a book titled “The Floating Kilogram and Other Editorials on Money from The New York Sun.” Before the Sun, he spent 20 years at the Wall Street Journal where he served on the editorial board and helped launch the Asian Wall Street Journal as well as the Wall Street Journal Europe. Recently, Seth authored a column in the New York Post titled “Why does the Federal Reserve Fear a Real Audit,” which is a question much on my mind. Seth, welcome. Mr. Lipsky: Thanks, Dawn. It’s nice to be with you. Ms. Bennett: To put it charitably, Janet Yellen appears to be very alarmed that some members of Congress want to conduct a comprehensive audit of the Federal Reserve for the first time since it was created. If the Federal Reserve is doing everything correctly, why should Mrs. Yellen be alarmed and what does she have to hide? Mr. Lipsky: Well, that’s a great question. The Federal Reserve is already audited, in the sense that an accountant comes in and goes over its books. But what the Congress is talking about is a much broader look by the Governmental Accountability Office of how the central bank forms our monetary policy and what its relations are with foreign banks. The Fed has been fighting this tooth and nail as an intrusion on its independence. What Congress knows is that the Constitution gave the monetary power precisely to Congress. Congress has a constitutional obligation and power to establish the American monetary system and regulate it, to coin money, regulate its value and that of foreign coinage. This has become a big issue where we have not taken a really systematic look at how the Fed operates in the hundred years that it’s been in existence. We’re starting the second century, and there is growing sentiment in the Congress to take a look at this. The audit of the Fed measure passed the House as recently as of September by a vote of 333 to 92, with 109 Democrats joining the Republicans. So the Fed is certainly growing concerned. Ms. Bennett: The only reason Janet Yellen has the power to coin money is because Congress delegated its own power to the Federal Reserve in 1913. Isn’t congressional oversight of that power something that should be considered commonsensical by the Federal Reserve? Mr. Lipsky: The Fed was created in 1913. The Coinage power was first acted on in 1792, and coinage was given not to any Federal Reserve but to the United States Mint. When the second central bank came up to the Supreme Court it was really the tax and the borrowing power that the courts were looking at when they okayed the authority of the central bank. Ms. Bennett: We are all accountable to someone or something, so what is wrong about the Federal Reserve being accountable to Congress? Mr. Lipsky: Nothing whatsoever. Even Chairman Yellen acknowledges that Congress has the power. She’s just pleading and warning that it not interfere. Why is Congress growing concerned about this in the first place? It’s because the Great Recession has lasted six years and we still do not feel like we’ve recovered. What is the Fed’s role in this? Could the reason that the Great Recession lasted so long be attributable to monetary policy? The value of the dollar has been allowed to collapse below one 1,100th of an ounce of gold. It was a 265th of an ounce of gold when George W. Bush was sworn in. These are huge questions, and somebody needs to ask them. Ms. Bennett: Let’s talk about that type of investment. According to a government report I’ve read, the Federal Reserve made $16.1 trillion in loans to big banks during that financial crisis. 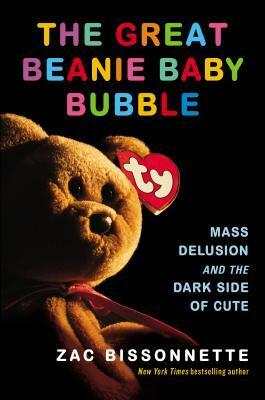 In my opinion, [it once] created the dotcom bubble and the housing bubble. Now, I think it has created the financial bubble that our markets are experiencing. Mr. Lipsky: Asset inflation. The debate over inflation is one of the most important debates in the country. The left wing likes to say there is no inflation, but the dollar is worth only a tiny amount of the constitutional specie, which is gold and silver, compared to what it used to be worth. This is what people feel when they hear the government say there’s no inflation but they try to go to the grocery store and they spend $50 or $100 on a tiny plastic bag with a few items in it. Ms. Bennett: Yes, I know shelf inflation is huge, but I want to talk about commodities for a bit. The Department of Justice has recently said again that they’re going after the big banks that have been, on an ongoing and continuous basis, manipulating gold and silver. What are your thoughts on that? Will it work this time? And, if so, is there a simple solution to stop them from doing this? They seem to get their hands slapped, apologize, and then come back and do it again, and again. Mr. Lipsky: The news that the Justice Department is looking at something like ten or twelve major banks for possibly rigging the price of gold broke the same week that Mrs. Yellen was up on Capitol Hill testifying against an audit of the Fed. Mr. Lipsky: One of the questions that The New York Sun raised is what is she afraid of then? Is it the danger that the Fed has been meddling in the gold market the way the Justice Department is alleging commercial banks have been doing it? It’s the Fed that regulates commercial banks after all. I don’t want to carry that argument too far. I asked it then in an editorial more in the nature of a question. But there is a movement in Congress to open up what is called a Centennial Monetary Commission that after the first hundred years of the Fed, would just take a look at how the whole system is working. We’ve been in a period of fiat money, meaning dollars that have no connection in law to any gold or silver or other constitutional money. We’ve been in a fiat system since 1971. Previously, our dollars were always defined in terms of gold and silver, suddenly they’re not. The unemployment average is much higher; the bankruptcy rate is much higher; the inequality rate has been much higher since the mid 1970’s. Could this be related to the fact that we abandoned sound money in the mid 1970s? Ms. Bennett: De-dollarization has been going on now for the last few years, and I think it’s because the dollar is continuing to get weaker. Our political system and economic system aren’t what they used to be. Do you think it’s possible that if China, for example, standardizes the renminbi it will start taking power away from the U.S. dollar? Mr. Lipsky: The abandonment of sound money by the U.S. has brought forth a whole chain of foreign governments that are alarmed and wonder whether a new system should be set up. China. There is talk of Russia going on a gold standard; the European Union is having its own catastrophe with the Euro, and it’s wondering whether the dollar ought to be replaced as the international reserve. The United Nations, for crying out loud, has gotten involved in this. One of my favorite moments happened in 1965, when the President of France, Charles de Gaulle, called a thousand reporters into the presidential palace sat them down and addressed them on the importance of restoring gold as the international standard. His argument was that it puts all countries on the same basis: America, France, England, China, little countries, and it takes a lot of the partisanship out of the monetary question internationally, or it takes the politics out of money. It’s ironic that Fed loves to talk about how we shouldn’t politicize the monetary system. If one really wants to de-politicize the monetary system, restoring a gold standard or something like it is exactly the way to do it. Ms. Bennett: Mrs. Yellen claims that opening the Fed to an outside audit would “politicize” — her word — monetary policy. Ms. Bennett: Isn’t it political when Senator Schumer, for example, tells her to keep rates low every time she testifies before the Senate Banking Committee? Isn’t it already happening? Mr. Lipsky: You’re exactly right. Why is it always the conservatives that are doing the politicizing and not the liberals? The big politicization of monetary policy happened in 1978 with the passage of Humphrey-Hawkins, which said that the Fed has to have a second mandate of increasing the employment rate or decreasing unemployment, in addition to affecting the value of our dollar. That opened the door to an enormous political interference in monetary policy. Mr. Lipsky: I’m a newspaperman. Ms. Bennett: There you go. But I’m certain you follow the markets. What do you think would be a simple solution to fix the ongoing and continuous manipulation of gold and silver so that we can get more stability? It does seem, whether it’s a Federal Reserve or some other central bank, that they’re interfering with it in order to make the fiat currency look stronger than it really is. Mr. Lipsky: I favor a definition by law, enacted by Congress under its constitutional powers to coin money and regulate its value, and fix the standards of weights and measures — a law passed by Congress defining the dollar as a fixed amount of gold or silver. Silver was the main specie used in early years of our republic. The debate over whether gold or silver was better went on through the 19th century, and we basically decided in 1900, with the passage of the Gold Standard Act, to make gold the true national money. I think that would go a long way toward solving this problem. There are a lot of questions as to exactly how to do it, whether there should be a system like Bretton Woods, which said dollars had to be redeemed in gold if they were held by foreign governments. Ms. Bennett: In physical gold, not paper gold. In physical gold. Ms. Bennett: There’s a big difference there. Mr. Lipsky: Therefore the price at which one fixes the dollar, the value, the amount of gold, has to be carefully worked out. But the gold standard is not some flaky thing. This was believed in by George Washington, Thomas Jefferson, James Madison, Alexander Hamilton, and almost every president since, up until Richard Nixon. John Kennedy, Woodrow Wilson, Grover Cleveland — they all believed in it. Ms. Bennett: Seth, “The Floating Kilogram and other Essays on Money from The New York Sun.” For any listeners not familiar with the Sun, can you bring them up to speed? Mr. Lipsky: The New York Sun is an online newspaper that I edit. We published in print until several years ago. It’s a leading voice in journalism for a sound dollar. It supports a sound dollar, limited government, and a restoration of constitutional dollar based on gold or silver. This is the first radio interview about the book. Mr. Lipsky: This book contains on this issue 130 editorials that have been issued in the Sun in recent years. Steve Forbes calls them “brilliant,” “irrefutable,” and “the Federalist Papers for the gold standard.” James Grant calls the book both “persuasive” and “unfailingly entertaining.” It’s a book for every person, not just the experts, and it’s available on Amazon.com, the online bookstore, and you’ll have a copy in a day or two if you place your order. “Pure gold” is the way the economist Judy Shelton described this book. The title, Dawn, comes from the discovery that the kilogram, which is the last metric weight measure based on a physical object, has been losing mass — atom by atom. 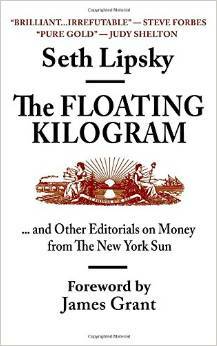 The Sun in one of its editorials said, “Why don’t we float the kilogram just like we float the dollar?” That’s from where the title of the book comes. Ms. Bennett: If President Obama, or our next president, were to become motivated to make reforms, what do you think the takeaway from this book would to be? Definitely a gold standard? Mr. Lipsky: So I think the takeaway is going to be that in our monetary system at some point, the dollar has to be defined in terms of something real rather than just another dollar. At the moment, if you take your dollar to the central bank to redeem it, they’ll give you another dollar. There’s no reference to anything real and no classical measure of value. We have what Jim Grant likes to call the Ph.D. standard, and I think we need to move away from that to the kind of standard that sustained our country during its periods of greatest growth and strongest employment. Ms. Bennett: We always seem to make changes in the United States when things break down, but not beforehand. What is going to be the instigator to standardize our currency? Mr. Lipsky: People say things could become a disaster. The last six years have been a disaster. Mr. Lipsky: Huge amounts of unemployment, not just for a short period, but for six years. It’s consumed almost the entire Obama presidency. People are still trying to figure out their homes, still trying to figure out how the price of college got more than halfway to $100,000 a year — you know, all these things. We’ve been living through this, and I think events have energized Congress to start looking at this. The Sound Dollar Act, or Centennial Monetary Commission Act, or Audit the Fed Act, or Free Competition in Currency Act. This is why Janet Yellen — to bring it back to where we came in — is fighting so hard against the Congress doing this. We’re in a constitutional moment here where Congress is going to take a look at this, I predict. Ms. Bennett: Do you think they’re going to have the guts to do it? Mr. Lipsky: I think the American people have a lot of guts. Mr. Lipsky: And at the end of the day, the Congress has to listen to the American people. From James Grant: Money is information, says Gilder. It’s a measuring stick, not a magic wand.” Wealth is knowledge and growth is learning. Prices should always trend down over the long-term in a capitalist economy to reflect continuous improvements in the technique of production. ….Researchers in Bitcoin and other digital currencies have shown that the real source of the value of any money is its authenticity and reliability as a measuring stick of economic activity. A measuring stick cannot be part of what it measures. Atlas Advisory Council member and APP Chairman Sean Fieler introduced Gilder’s remarks and helped to frame the ensuing discussion, which also included financial publishers Steve Forbes and Jim Grant. The event highlighted how Gilder’s fresh take on the currency debate could help make the need for sound money politically salient in the coming year. Read Gilder’s full book, The 21st Century Case for Gold: A New Information Theory of Money. View highlights from Gilder’s APP presentation. View photos from the APP event. Gold bugs seem schizoprenic. 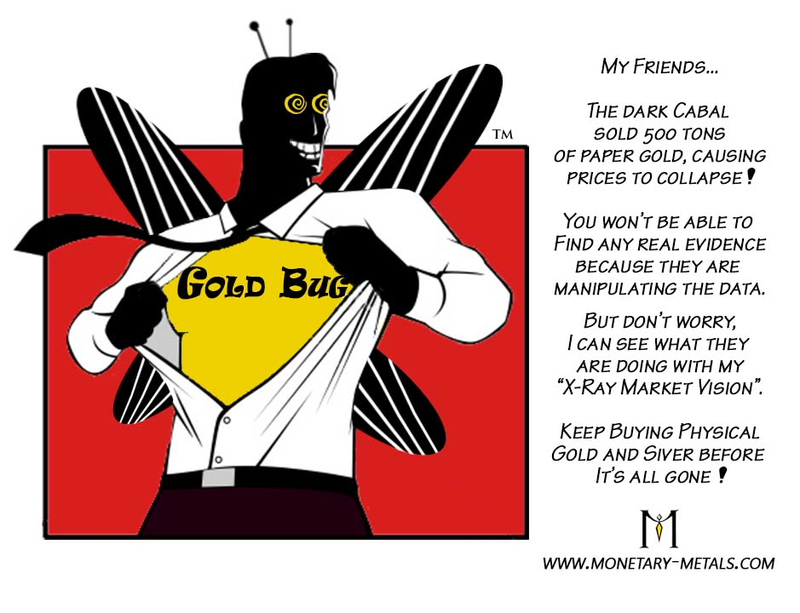 Gold prices are manipulated downward; buy more gold! 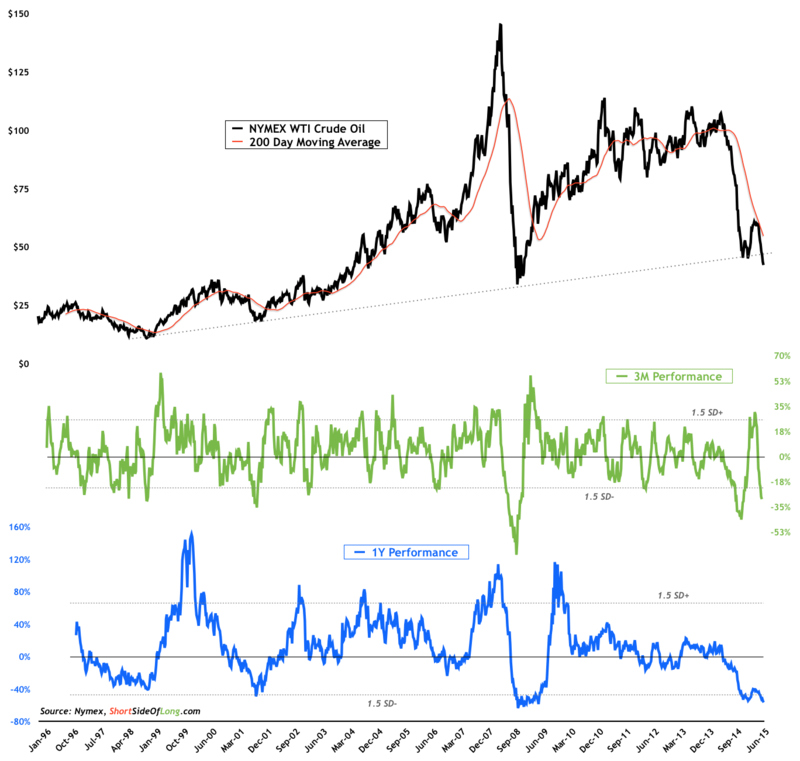 I think the recent fall in gold has to do with increasing recessionary conditions and "disinflation". But when people realize that real money (financial reserves) can not be replaced by credit and debt then the price decline will reverse. Imagine you are a major holder of new Lexus cars. Imagine you are in financial trouble. The market for Lexus cars anticipates the upcoming supply. Prices of drop. OK… but are Lexus the same as gold? Imagine that, instead of Lexus cars, you held cash — a big wad of cash in your vault. Then, in financial trouble, you need get out your cash and use it to pay your creditors. Does the market for cash go down? Does the value of your cash decline because people know you will have to give it to someone else? The premise is false. 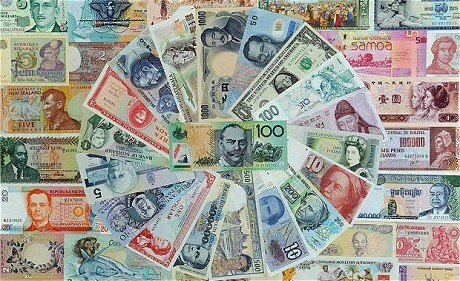 Real cash does not become less valuable when people find themselves in financial difficulty; it becomes more valuable. The demand for cash goes up, not down. But wait. Today’s bills are payable in paper cash…not gold. Debtors must raise paper cash by selling their gold for paper. It’s paper they need… not real money. Our current system runs on irredeemable, fiat, paper money. People spend it. People borrow it. Now people need more of it to pay their bills. So they sell their valuables — namely, gold — to get more paper money. The Gold price in dollars goes down, while central banks print up more paper money — just to make sure there’s plenty to go around. One day people will stop worrying about the quantity of the paper and begin worrying about the quality of it. I am saying gold is commodity money–real money with no liabilities (promise of acceptance). But I haven’t proven anything, I am putting down thoughts. Next week I will need to prove why I believe that idea has merit. Our goal is to improve our understanding of reality. I will need to define my terms and prove my premises to debate the reader who provided his thoughts on gold. The reader in his comments below says inflation is rising consumer prices. I define inflation as any increase in the economy’s supply of money not consisting of an increase in the stock of the money (gold) metal. Money is a commodity serving as a medium for exchanges, and–because there has been a recent prior history of exchanges–money can serve as a store of value for future exchanges. A free market is social cooperation conditioned by the respect of private property rights,” Therefore the meaning of inflation is that it extends the nominal money supply through a violation of property rights. In this sense, inflation can also be called a forcible way of increasing the money supply (by fractional reserve banking, by monetization of government debt, by counterfeiting, by forgery, etc.) as distinct from the “natural” production of money through mining and minting. The difference is vast and important. Friedrich A. Hayek stated that his chief objection against monetarist theory is that it pays attention only to the effects of changes in the quantity of money on the general price level and not to the effects on the structure of relative prices. In consequence, it tends to disregard what seems to me the most harmful effects of inflation: the misdirection of resources it causes and the unemployment which ultimately results from it. So next week I will lay out my premises and show why the distinction is important. A debate without definition and/or agreement of terms is like having a contest to nail jello to a wall. I was a bull on gold for years, but switched bearish during the mania of summer 2011 and have been bearish ever since. I don't think anybody can argue that central banks are flooding the world with money. Everyone knows this is occurring and laments about it, and professional investors keep pushing gold. You'd be hard pressed to find a big name manager who doesn't like gold. fundamentals, yet the price keeps going down. $1000/oz, gold is clearly more expensive than pure marginal cost analysis would suggest. 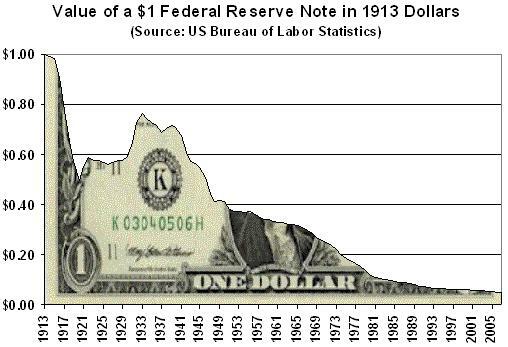 the collapse of fiat currencies, or whatever other event they think they are being shielded from. from these events much better. If concerned about inflation, I would much rather own multifamily real estate than gold. which will take much more time. market in real estate, and that is why they are selling. I also think the "gold is just another currency"
happened with a major currency. will sell gold and buy stocks. If stocks fall, people will sell gold and buy real estate or treasuries. will see substantially lower prices, eventually falling well below $1000/oz. market was an expectation of CPI inflation, that has simply failed to materialize. but it appears there are no more marginal buyers left. an unlimited amount of money, only varying the size of their asset purchases, with no time limit set. thought on gold is why I believe the price is falling. they are a contrarian indicator. considering how high the price of gold is, I would want mine back too if I were them. countries would almost certainly drop, in the same way that if they had less currency reserves. Yes this battle will be gruesome, bloody and long (perhaps) but our purpose is to understand whether Herbalife which–as of the last filing–sported franchise-like financials of high ROA, ROE and ROIC with growing sales. Copious cash flow. On the surface, the company seems to have a franchise. Why can’t other companies do the same thing. What barriers to entry are there? Product patents, customer captivity, economies of scale and scope, network effects, etc. This battle will allow us to understand what drove Herbalife’s success. Will it be fleeting or lasting. My bet is that Herbalife does NOT have a lasting competitive advantage. The quote above by Mr. Karlgaard is disappointing because as a publisher of a business magazine, he should understand Mr. Ackman’s purpose. A good investor should invest in companies that will use owner’s capital wisely and should not invest or even warn against investing in companies that mis-allocate capital for the long-term. Short sellers are just as important as having a Warren Buffett in the market. An Ackman does more for future growth than any government program because–like him or not–Mr. Ackman is trying to take capital away from poorly managed, potential frauds, unsustainable businesses while allocating capital to companies that will use his investors’ capital beneficially. He may be proven wrong but that is for the market to decide. Some four years after the 2008 financial crisis, public trust in banks is as low as ever. Sophisticated investors describe big banks as “black boxes” that may still be concealing enormous risks—the sort that could again take down the economy. A close investigation of a supposedly conservative bank’s financial records uncovers the reason for these fears—and points the way toward urgent reforms. The authors of the above article don’t grasp the true cause of the banking panic. Yes, transparency is a problem, but that would ALWAYS be true under our current fractional reserve banking system–it’s inherently a Ponzi scheme that functions on public gullibility and government edict–banks get to violate private property rights. Rothbard and Money by Llewellyn H. Rockwell, Jr. This was published on January 2, 2013, in Ron Paul’s Monetary Policy Anthology: Materials From the Chairmanship of the Subcommittee on Domestic Monetary Policy and Technology, US House of Representatives, 112th Congress. All the books mentioned in this article are free on the web, go to www.mises.org and do a book search by title. The scholarly contributions of Murray N. Rothbard span numerous disciplines, and may be found in dozens of books and thousands of articles. But even if we confine ourselves to the topic of money, the subject of this volume, we still find his contributions copious and significant. As an American monetary historian Rothbard traced the party politics, the pressure groups, and the academic apologists behind the various national banking schemes throughout American history. As a popularizer of monetary theory and history he showed the public what government was really up to as it took greater and greater control over money. As a business cycle expert he wrote scholarly books on the Panic of 1819 and the Great Depression, finding the roots of both in artificial credit expansion. And while the locus classicus of monetary theory in the tradition of the Austrian School is Ludwig von Mises’ 1912 work The Theory of Money and Credit, the most thorough shorter overview of Austrian monetary theory is surely chapter 10 of Rothbard’s treatise Man, Economy and State. Rothbard placed great emphasis on the central monetary insight of classical economics, namely that the quantity of money is unimportant to economic progress. There is no need for the money supply to be artificially expanded in order to keep pace with population, economic growth, or any other factor. As long as prices are free to fluctuate, changes in the purchasing power of money can accommodate increases in production, increases in money demand, changes in population, or whatever. If production increases, for example, prices simply fall, and the same amount of money can now facilitate an increased number of transactions commensurate with the greater abundance of goods. Any attempt by “monetary policy” to keep prices from falling, to accommodate an increase in the demand for money, or to establish “price stability,” will yield only instability, entrepreneurial confusion, and the boom-bust cycle. There is no way for central bank policy or any form of artificial credit expansion to improve upon the micro-level adjustments that take place at every moment in the market. With the exception of the Austrian School of economics, to which Rothbard made so many important contributions throughout his career, professional economists have treated money as a good that must be produced by a monopoly – either the government itself or its authorized central bank. Rothbard, on the other hand, teaches that money is a commodity (albeit one with unique attributes) that can be produced without government involvement. Rothbard’s history of money, in fact, is a history of small steps, the importance of which are often appreciated only in hindsight, by which government insinuated its way into the business of money production. It was Carl Menger who demonstrated how money could emerge on the free market, and Ludwig von Mises who demonstrated that it had to emerge that way. In this as in so many other areas, Mises broke with the reigning orthodoxy, which in this case held that money was a creation of the state and held its value because of the state’s seal of approval. A corollary of the Austrian view was that fiat paper money could not simply be created ex nihilo by the state and imposed on the public. The fiat paper we use today would have to come about in some other way. It was one of Rothbard’s great contributions to show, in his classic What Has Government Done to Our Money? and elsewhere, the precise steps by which the fiat money in use throughout the world came into existence. 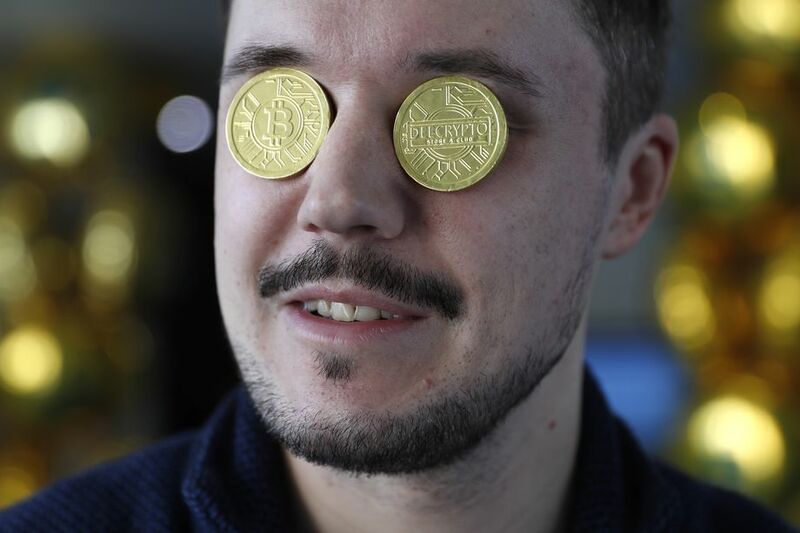 First, a commodity money (for convenience, let’s suppose gold) comes into existence on the market, without central direction, simply because people recognize that the use of a highly valued good as a medium of exchange, as opposed to persisting in barter, will make it easier for them to facilitate their transactions. Second, money substitutes began to be issued, and circulate instead of the gold itself. This satisfies the desires of many people for convenience. They would rather carry paper, redeemable into gold, than the gold itself. Finally, government calls in the gold that backs the paper, keeps the gold, and leaves the people with paper money redeemable into nothing. These steps, in turn, were preceded by the seemingly minor – but in retrospect portentous indeed – government interventions of monopolizing the mint, establishing national names for the money in a particular country (dollars, francs, etc. ), and imposing legal tender laws. Rothbard also brought the Austrian theory of the business cycle to a popular audience. Joseph Salerno, who has been called the best monetary economist working in the Austrian tradition today, was first drawn to the Austrian School by Rothbard’s essay “Economic Depressions: Their Cause and Cure.” There Rothbard laid out the problems that business cycle theory needed to solve. In particular, any theory of the cycle needed to account, first, for why entrepreneurs should make similar errors in a cluster, when these entrepreneurs have been chosen by the market for their skill at forecasting consumer demand. If these are the entrepreneurs who have done the best job of anticipating consumer demand in the past, why should they suddenly do such a poor job, and all at once? And why should these errors be especially clustered in the capital-goods sectors of the economy? According to Rothbard, competing theories could not answer either of these questions satisfactorily. Certainly any theory that tried to blame the bust on a sudden fall in consumer spending could not explain why consumer-goods industries, as an empirical fact, tended to perform relatively better than capital-goods industries. Only the Austrian theory of the business cycle adequately accounted for the phenomena we observe during the boom and bust. The cause of the entrepreneurial confusion, according to the Austrians, is the white noise the Federal Reserve introduces into the system by its manipulation of interest rates, which it accomplishes by injecting newly created money into the banking system. The artificially low rates mislead entrepreneurs into a different pattern of production than would have occurred otherwise. This structure of production is not what the free market and its price system would have led entrepreneurs to erect, and it would be sustainable only if the public were willing to defer consumption and provide investment capital to a greater degree than they actually are. With the passage of time this mismatch between consumer wants and the existing structure of production becomes evident, massive losses are suffered, and the process of reallocating resources into a sustainable pattern in the service of consumer demand commences. This latter process is the bust, which is actually the beginning of the economy’s restoration to health. The concentration of losses in the capital-goods sector can be explained by the same factor: the artificially low-interest rates brought about by the Fed’s intervention into the economy. What Austrians call the higher-order stages of production, the stages farthest removed from finished consumer goods, are more interest-rate sensitive, and will therefore be given disproportionate stimulus by the Fed’s policy of lowering interest rates. Equipped with this theory, Rothbard wrote America’s Great Depression(1963). There Rothbard did two things. First, he showed that the Great Depression had not been the fault of “unregulated capitalism.” After explaining the Austrian theory of the business cycle and showing why it was superior to rival accounts, Rothbard went on to apply it to the most devastating event in U.S. economic history. In the first part of his exposition, Rothbard focused on showing the extent of the inflation during the 1920s, pointing out that the relatively flat consumer price level was misleading: given the explosion in productivity during the roaring ’20s, prices should have been falling. He also pointed out how bloated the capital-goods sector became vis-a-vis consumer goods production. In other words, the ingredients and characteristics of the Austrian business cycle theory were very much present in the years leading up to the Depression. Second, Rothbard showed that the persistence of the Depression was attributable to government policy. Herbert Hoover, far from a supporter of laissez-faire, had sought to prop up wages during a business depression, spent huge sums on public works, bailed out banks and railroads, increased the government’s role in agriculture, impaired the international division of labor via the Smoot-Hawley Tariff, attacked short sellers, and raised taxes, to mention just a portion of the Hoover program. Rothbard had been interested in business cycles since his days as a graduate student. He had intended to work on a history of American business cycles for his Ph.D. dissertation under Joseph Dorfman at Columbia University, but he found out that the first major cycle in American history, the Panic of 1819, provided ample material for study in itself. That dissertation eventually appeared as a book, via Columbia University Press, called The Panic of 1819: Reactions and Policies (1962). In that book, which the scholarly journals have declared to be the definitive study, Rothbard found that a great many contemporaries identified the Bank of the United States – which was supposed to be a source of stability – as the primary culprit in that period of boom and bust. American statesmen who had once favored such banks, and who thought paper money inflation could be a source of economic progress, converted to hard money on the spot, and proposals for 100-percent specie banking proliferated. In A History of Money and Banking: The Colonial Era to World War II, a collection of Rothbard’s historical writings published after the author’s death, Rothbard traced the history of money in the United States and came up with some unconventional findings. The most stable period of the nineteenth century from a monetary standpoint turns out to be the period of the Independent Treasury, the time when the banking system was burdened with the least government involvement. What’s more, the various economic cycles of the nineteenth century were consistently tied to artificial credit expansion, either participated in or connived at by government and its privileged banks. Rothbard further showed that the traditional tale of the 1870s, when the United States was supposed to have been in the middle of the “Long Depression,” was all wrong. This was actually a period of great prosperity, Rothbard said. Years later, economic historians have since concluded that Rothbard’s position had been the correct one. Rothbard’s treatment of the Federal Reserve System itself, which he dealt with in numerous other works, involved the same kind of analysis that historians like Gabriel Kolko and Robert Wiebe applied to other fruits of the Progressive Era. The conventional wisdom, as conveyed in the textbooks, is that the Progressives were enlightened intellectuals who sought to employ the federal regulatory apparatus in the service of the public good. The wicked, grasping private sector was to be brought to heel at last by these advocates of social justice. It is with these insights in mind that Rothbard scrutinized the Federal Reserve. He would have none of the idea that the Fed was the creation of far-seeing public officials who sought to subject the banking system to wise regulation for the sake of the people’s well-being. The Fed was created not to punish the banking system, but to make its fractional-reserve lending operate more smoothly. In The Case Against the Fed, What Has Government Done to Our Money?, and The Mystery of Banking, Rothbard took the reader through the step-by-step process by which the banks engaged in credit expansion, earning a return by lending money created out of thin air. Without a central bank to coordinate this process, Rothbard showed, the banks’ position was precarious. If one bank inflated more than others, those others would seek to redeem those notes for specie and the issuing bank would be unable to honor all the redemption claims coming in. Although Rothbard distinguished himself as a monetary theorist and as a monetary historian, he did not confine himself to theory or history. He devoted plenty of attention to the here and now – to critiques of Federal Reserve policy, for example, or to criticisms of government responses to the various fiascoes, the Savings and Loan bailout among them, to which our financial system is especially prone. He likewise looked beyond the present system to a regime of sound money, and in The Case for a 100 Percent Gold Dollar and The Mystery of Banking laid out a practical, step-by-step plan to get there from here. In his work on monetary theory and history, as in his work in so many other areas, Rothbard showed from both an economic and a moral point of view why a system of liberty was preferable to a system of government control. At a time when the political class and the banking establishment are being subjected to more scrutiny than ever, the message of Rothbard takes on a special urgency. For that reason we should all be grateful that his monetary work, and that of the other great Austrian economists, is being carried on by Murray Rothbard’s friend and colleague Ron Paul. By my reckoning, no one in history has brought true monetary theory and history to a larger audience.